Everyone knows private colleges cost more money. But with the help of scholarships and financial aid, many middle-class families are making the sacrifice to send their kids to elite schools. But what happens when they get there? Nancy Trejos, The Washington Post's personal finance columnist and the author of the excellent Hot (broke) Messes: How to Have Your Latte and Drink It Too, attended Georgetown University with the help of scholarships, loans and her parents, immigrants from Columbia and Ecuador. Her father worked in a hospital cafeteria and her mother cleaned offices. "When it came time to decide on colleges, I did really well in high school, and my parents wanted me to go to a good school," she says. "It was really important to them that I get into a good school and get a good education." When she arrived at Georgetown, it was another world. "It's a school that does attract students from affluent families. A lot of classmates, their parents were lawyers and congressmen, and even Diana Ross's daughter was there," she says. "A lot of these students just sort of dressed very well. When spring break rolled around they went to the Bahamas, and they went out a lot. I'm not saying everyone was like that, but I found myself sort of running around that crowd, but I didn't have the money to keep up with them. It was really easy to get a credit card, and that's what I did." She graduated from college several thousand dollars in debt, and she "got used to that mindset and was never disciplined with it until the last few years," she says. It won't show up on any financial aid form or tuition and fees page on a school's official website, but parents sending their kids to schools that traditionally attract a large number of students from affluent backgrounds need to be aware of the pressure on kids to be able to spend like their peers. It's very easy to say "Be yourself and don't worry about keeping up with the Joneses," but for an 18-year-old living away from home for the first time, the desire to fit in is powerful. "You go to college, you want to have fun and fit in," says Trejos. Recognize that there may be a culture shock. 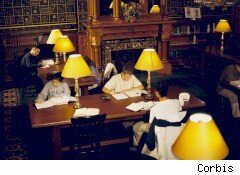 If your kid grew up in a working-class neighborhood and is headed off to a college with a reputation for attracting rich students (like Pepperdine University in Malibu, Calif.), the spectacle of opulence can take some getting used to. One Pepperdine student told that school's newspaper that "When I first came here I was shocked by all the nice cars and all the fancy bags. But after a while, you just get used to it." Talk about it honestly and openly over dinner, including how it might impact your kid's self-esteem. Budget for it. If you can possibly scrape together some money to buy your new college student some really nice wardrobe pieces that will help her (or him) feel like a million bucks when she/he gets to school, it's definitely worth doing. If your kid feels like his wardrobe doesn't make him look like "the poor kid," he may have an easier time understanding when you tell him he can't possibly go on the spring break trip to the Bahamas. Reconsider your choice of college. This will strike some in our prestige-obsessed culture as blasphemy, but you really do have to wonder whether you're likely to benefit from attending a college where you're one of the least well-off financially. In his groundbreaking book Stop Acting Rich, Dr. Thomas J. Stanley found that people who grew up in neighborhoods where they perceived themselves to be among the less wealthy families were more likely to grow up to be aspirational spenders: people who buy the clothes, cars, and gadgets that lead to debt and an inability to achieve financial security. Stanley's advice to people looking to accumulate wealth? Live in a place where you're above the median income. That way, you'll be less tempted to spend beyond your means.